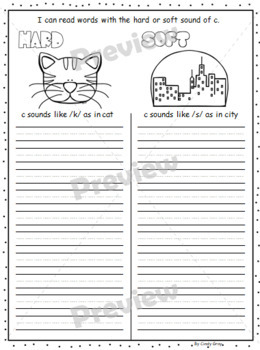 Students need to isolate and produce beginning, middle and ending sounds in single-syllable words. As a step to get our students there, they need to hear the long and soft sounds of C in words and know how they are represented in those words. 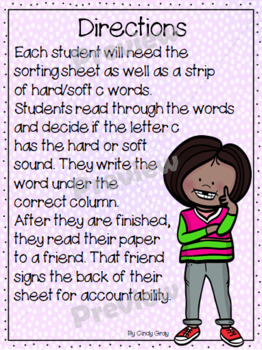 This sorting activity will help students recognize and internalize the hard and soft sounds of C.
Click here for Sorting Words with the Hard of Soft Sound of G.
Click here for more activities for Hard and Soft C and G.
Do follow my store so you'll be notified of sales as well as new and free products that I add. As always, I appreciate your feedback. You'll earn valuable TPT credits to use to save on future purchases.